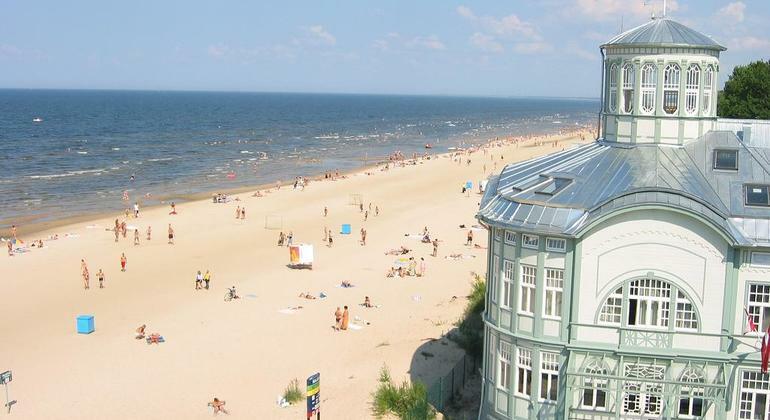 You've never seen architecture artform like this - Jurmala is full of unique wooden architecture with delicate details. Of course, architecture is not the only thing you look for, when going to a resort. The most important part - relaxation and leisure. The long sandy beach has space for everyone and the calm waves of the Riga bay leave you feeling safe when going for a swim. 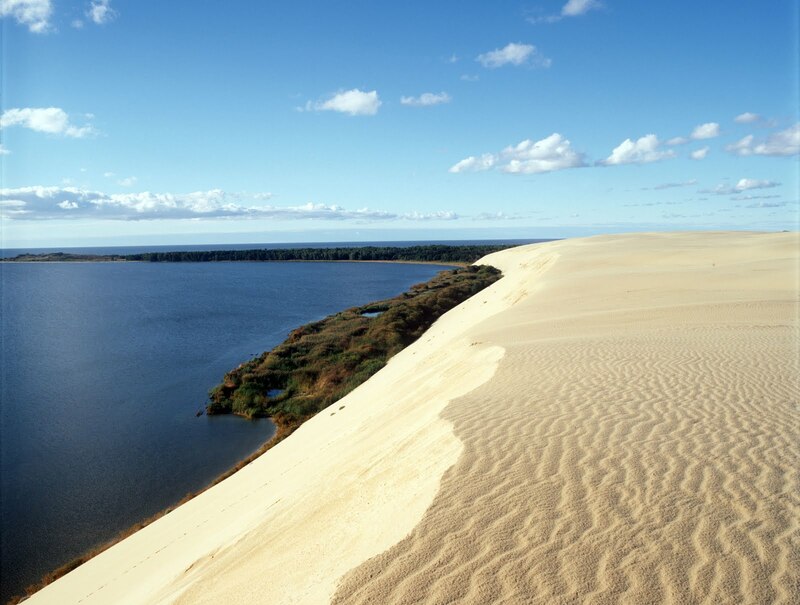 And if you feel like hiding away from the seashore wind, go for a stroll in the Dzintari park. If you're a true artist in heart, you should definitely visit Užupis (in case you already haven't). 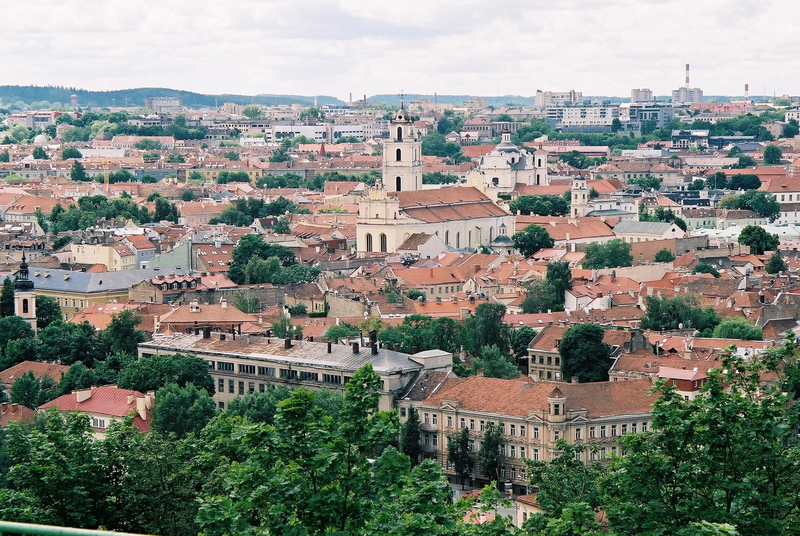 It's a small bohemian republic in the heart of Vilnius. In this district you will find dreamy paintings on the walls of old buildings, art galleries, whimsical restaurants and just the most intriguing atmosphere. The name Užupis literally translates to "behind the river"... which is basically what Užupis is. It is seperated from the Vilnius Old town by the small but fierce river Vilnelė (this means "small Vilnius"). If you're planning on going sightseeing in Tallinn, do go to the Toompea hill - the climb is truly worth the view. Speaking of hills and sightseeing - one of the best views of Vilnius you'll get from the top of the Hill of Three Crosses. 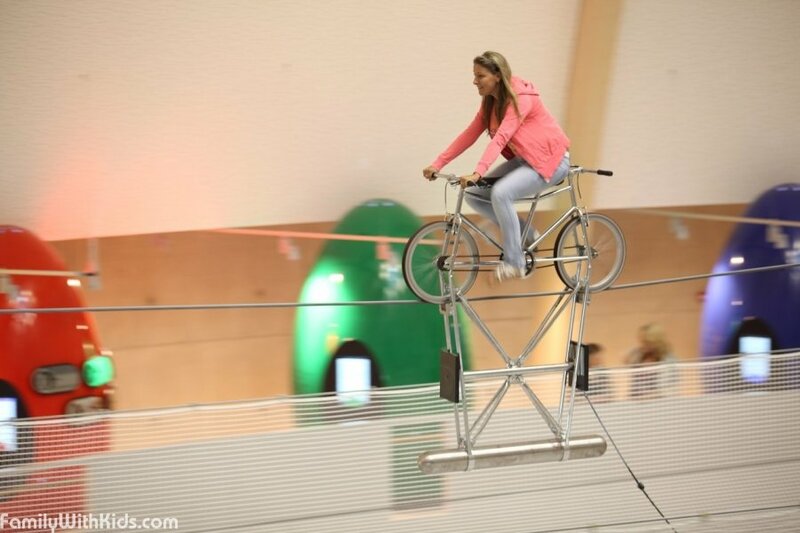 It will take you about 15 minutes to get to the top, but we still suggest you put of some comfortable shoes as it can get a bit tough. Trust us - this will be one of the best and most calming walks you will ever take in your life. We strongly suggest to visit the Ķemeri bog early in the morning - the sunrise is magical and there will be less people there as well. Coastal nature at its best! A place to come for a walk to calm down and gather your thoughts. Aboslutely lovely! 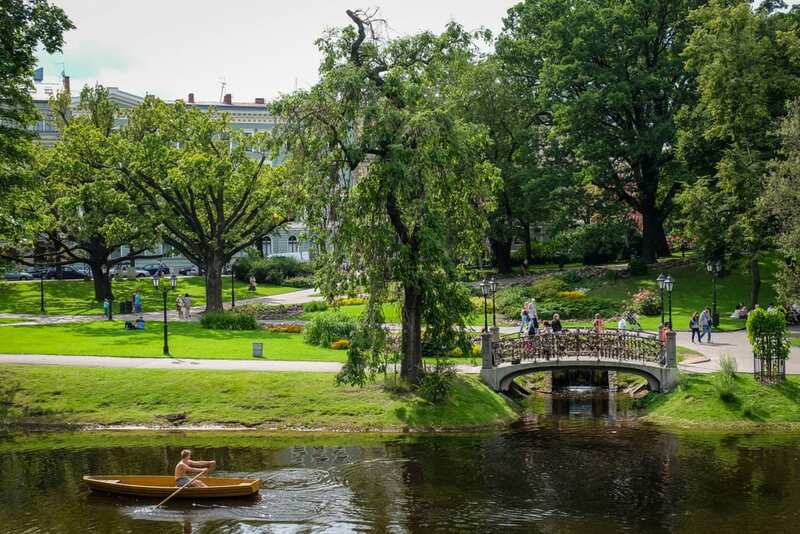 One thing you'll notice about the capital of Latvia is that it is a very green city. 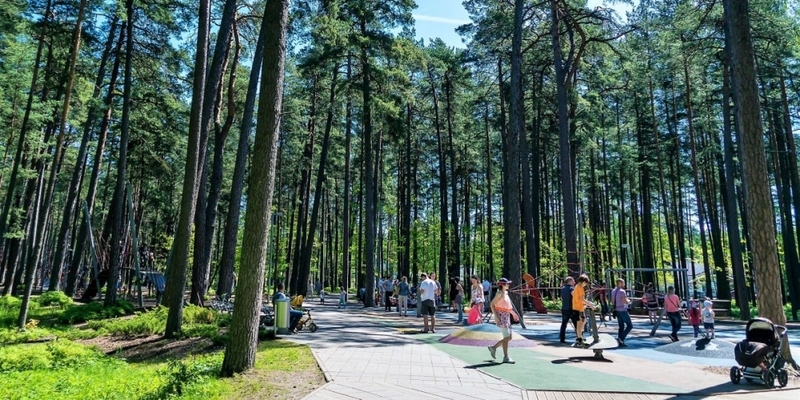 We highly value our green space here, so when Latvians make a park, they make it count. 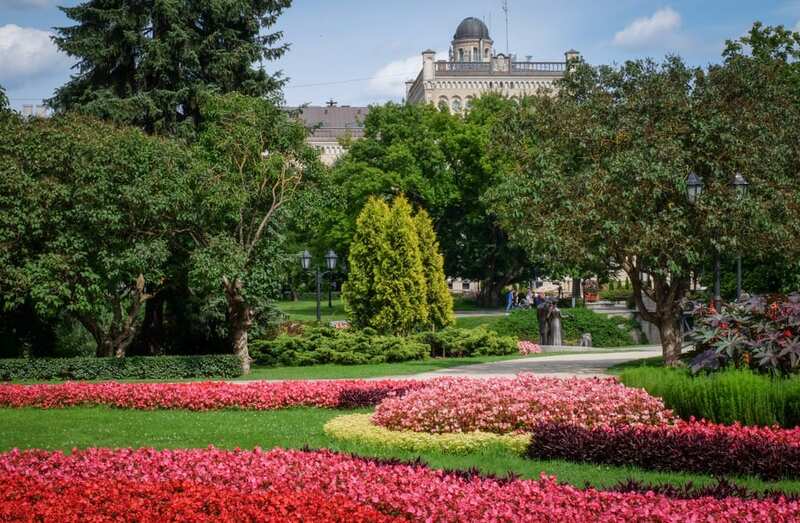 There is the central Opera park with artistic fountain and blooming flowerbeds. But it doesn't just end there - there is a whole romantic trail along the both sides of the city canal where you will find plenty of picturesque sights. 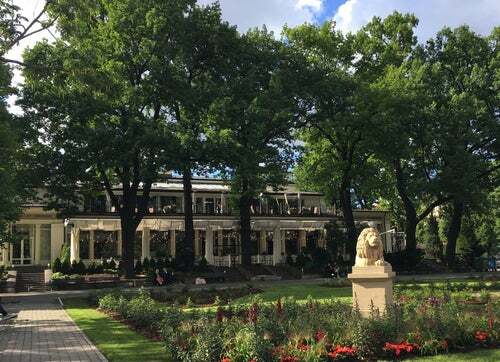 Moving deeper in the city center you will find Vērmane's garden which is a great place to head over to after grabing a quick lunch. There are things that you may feel too old for - this, however, will never be one of them. See how the laws of science works in real life - this will be both educational and entertaining. If you've always dreamed of a fairytale castle on an island, this is the place where that dream of yours comes true. This is also a great place to taste the traditional Lithuanian food kibinai - small pies with various fillings, most popular of them - beef, chicken, spinach with cheese. We want to provide the best possible experience for our customers , so they can truly relax and enjoy themselves. Wether you are looking for a relaxing massage, beauty rituals, fitness lessons, a delicious meal - we will have it at your service.